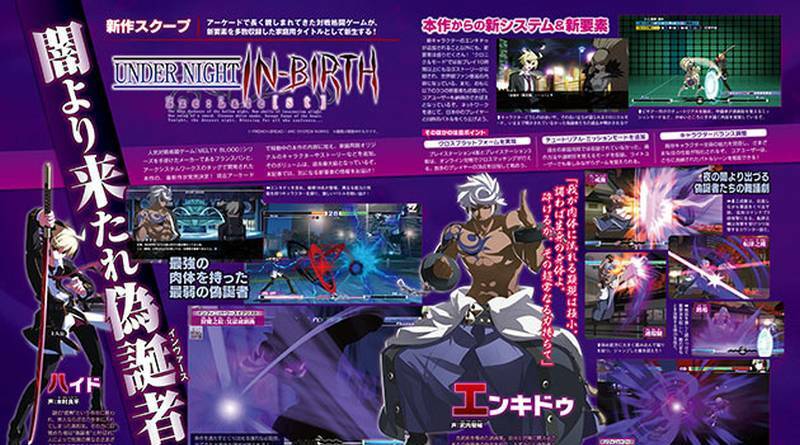 Arc System Works has announced that the arcade fighting game Under Night In-Birth Exe:Late[st] is coming to the PS Vita, revealed in this week’s issue of Famitsu. Under Night In-Birth Exe:Late[st] will feature 19 characters and Enkidu, a master of the ancient martial arts, will be voiced by Shunsuke Takeuchi. The game will also include new tutorial and mission modes as well as character balance adjustments. Under Night In-Birth Exe:Late[st] will be released for the PS Vita in Japan on July 20, 2017 digital-only for 5,370 yen.